To go straight to the solution, scroll down the page. To go to the puzzle, CLICK HERE. The original version of the puzzle, by Colin Beveridge, only includes the first three facts: the match went to five sets; both players won the same number of games; and the games won by one player followed an arithmetic progression. Since Colin’s page gives a detailed explanation of the possible scorelines under these conditions, I will not waste time reproducing that here. Suffice to say that there are ten possibilities. Note that, for some of these, the common difference of the arithmetic series is zero. In every case, the player whose games form an arithmetic series loses the match. The key point here is that the person who served the last point of each set also won that set. Since the serving player alternates for each game of a tennis match, this tells us a great deal about which scorelines are possible. If a set has an even number of games, then the final game is served by the same player that served the final game of the previous set. If it has an odd number of games, then the final game is served by the player who did not serve the final game of the previous set. As we can see, there are actually no scorelines that meet our criteria! It remains to decide which of these two scorelines is correct and whether you were the winning or losing player. Eight consecutive games can only be won across at least two sets (it is impossible to win eight consecutive games in the final set) and then only if you won the first of these. A winning run can only be extended across three sets (or more) if a set is won 6-0. In a set that did not reach a tie-breaker, it is possible that the winning player won all their games consecutively and can carry the winning run on into the next set. In a set that did reach a tie-breaker, the winning player finished on a winning run of at most two consecutive games. With the exception of sets won to love, a maximum of five consecutive games can be won at the start of a set. Given all these observations, we see that in the scoreline, 6-4, 7-5, 1-6, 6-7, 10-8, the winning player could have won 11 consecutive games from the first set to the second, but can have made no other winning runs of significant length. 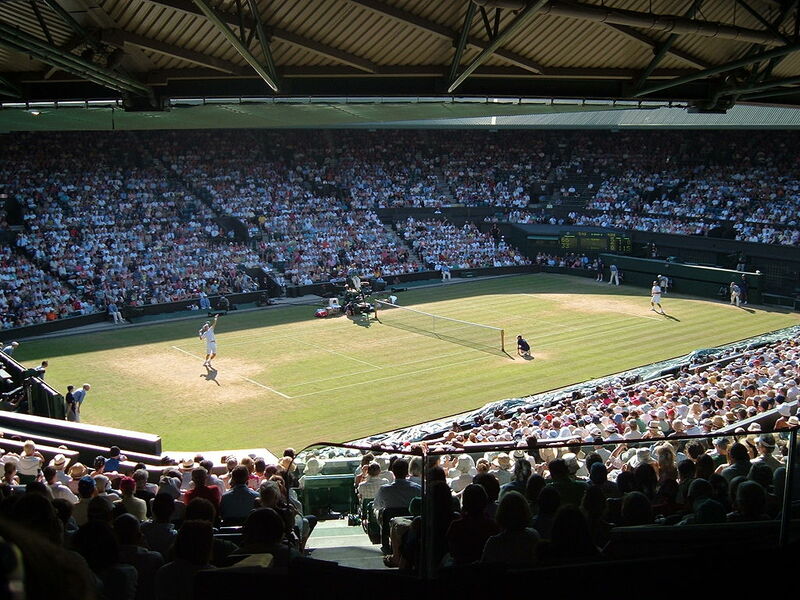 The losing player could win 11 consecutive games from the third to the fourth set, but only 7 from the fourth to the fifth, with no other possible significant winning runs. In the scoreline, 7-6, 4-6, 4-6, 7-6, 8-6, the winning player has little scope for consecutive winning runs, having won both his first two sets on tie-breakers, allowing only a run of 7 consecutive games from the fourth set to the fifth. However, the losing player could win 8 consecutive games from the second set to the third and 9 more from the third to the fourth (or vice versa). This is therefore the only scoreline that meets all our conditions, and you were the losing player. The score was 7-6, 4-6, 4-6, 7-6, 8-6. You lost.